See the BIG 3 highlights of Tasmania in just 3 days! •	Visit Sheffield the ‘Town of Murals’ with over 30 murals painted across the town showing the history of the area. •	Treat yourself to the delights at Kate’s Berry Farm before returning to Hobart! Wineglass Bay has been voted many times among the top beaches of the world. Pink granite mountains form the backdrop for secluded bays, pristine waters, white sandy beaches, local wildlife and walking trails. Our drive this morning takes us through the well-preserved Georgian townships of Evandale and Campbell Town. We make a short stop in Campbell Town where you can collect some lunch to take along for the day ahead. You will have time to discover the Convict Brick Trail that extends through the town, visit the Red Bridge, and check out the tree sculptures depicting the history of the town. After a brief stop in Campbell Town we travel to the East Coast, where we catch an amazing view of the area at the Great Oyster Bay Lookout and an opportunity to purchase some fresh oysters plucked from the beautiful surrounding waters. 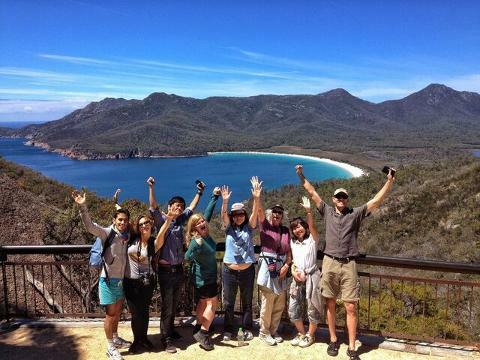 On arrival at Freycinet, we walk as a group to the Wineglass Bay Lookout where your guide will help you take those sought-after photographs. 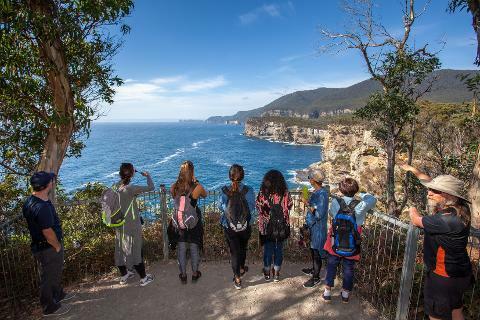 From the Lookout, you have the option to return to the start of the walk with our tour guide, or for the keen walkers you can choose to spend the rest of your time completing the walk down to Wineglass beach (2.5-hours return). 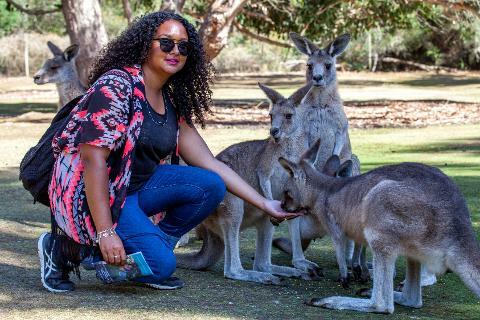 If you choose to travel with our guide, we will explore more of the National Park and visit beautiful Honeymoon Bay and Cape Tourville lookout and Great Short Walk. 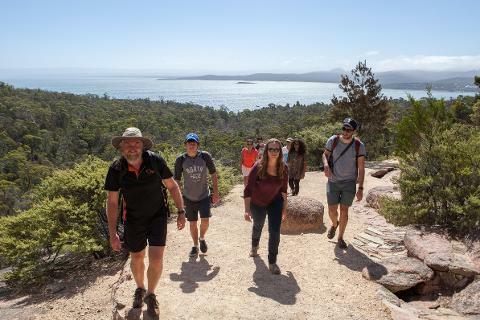 After 4 to 5-hours at Freycinet National Park you will then continue your journey onto Hobart enjoying a stop at Kate’s Berry Farm along the way. 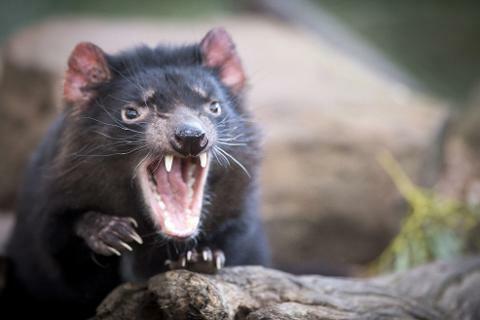 •	Experience the ferocious action of a Tasmanian Devil feeding!